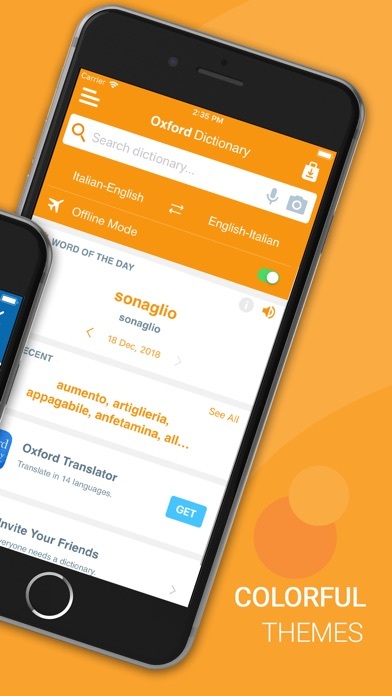 Best translation app I’ve found so far, and I’ve tried many. 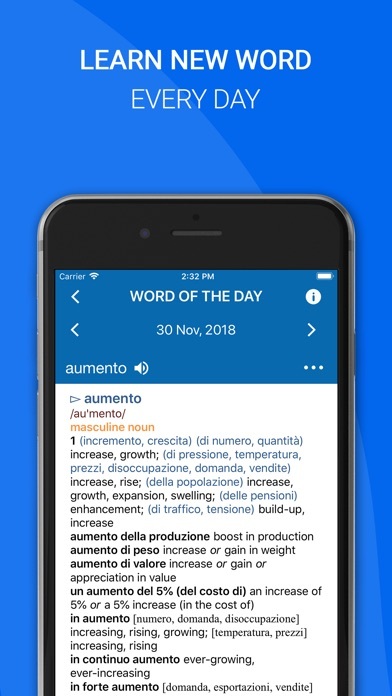 Rarely do I encounter a word in reading anything that isn’t in there including most of the current stuff, except perhaps some of the newest urban slang or regional words. 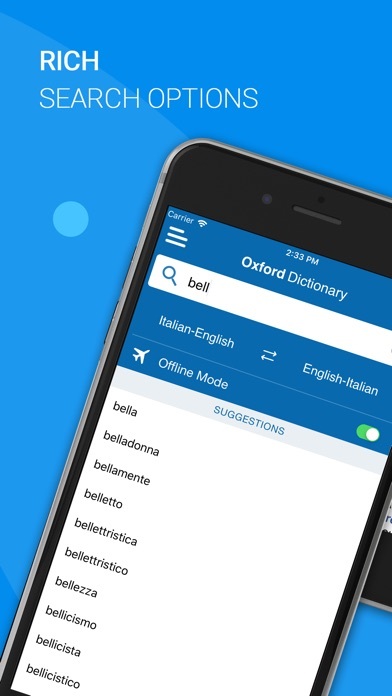 Overall the only dictionary you’ll need. I give a one-star rating, because there is no “zero-star” rating available. Please add! 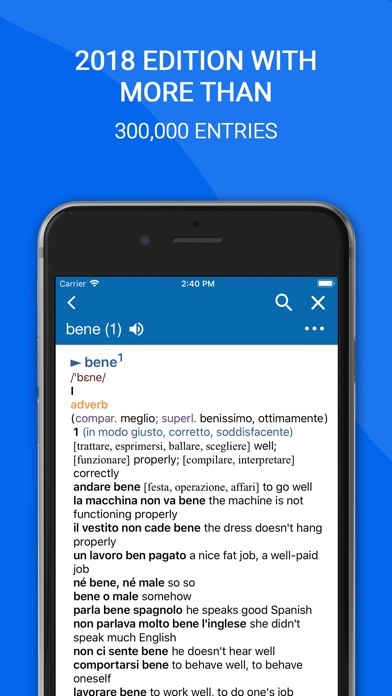 Good for my translations while learning Italian. Wish you could search for conjugated verbs. It makes it difficult to know what the word is when you don’t understand how to devise the root yet. I also wish that some of the explanations were in both Italian and English. I feel like there is a lot I’m missing out on because I’m not fluent yet. Disappears on update BUY ELSEWHERE! I’ve been impressed by the exhaustive and nuanced definitions. Very good for idioms as well. Thanks! I have the hardcover edition of this dictionary. Weighs about twenty pounds. 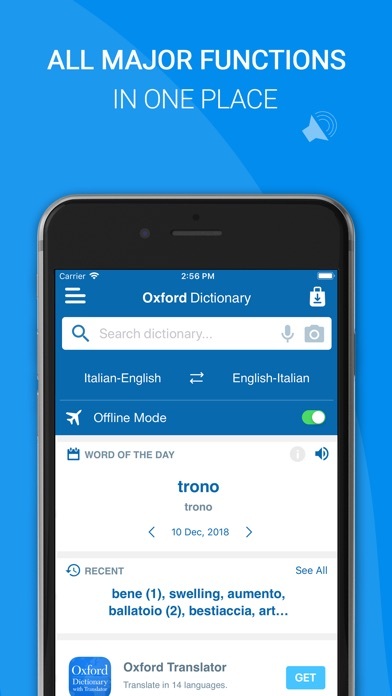 This electronic version of the dictionary is much more useful, quicker, and full of useful features and information. A pretty good dictionary except that it continually insists that I rate it with 5 stars on iTunes. So I am giving it 4 stars for being a bit of a bully.